CDA Paintball in Nova Scotia has acquired the rights to play at the Atlantic Diefenbunker and will be hosting a game there in March! 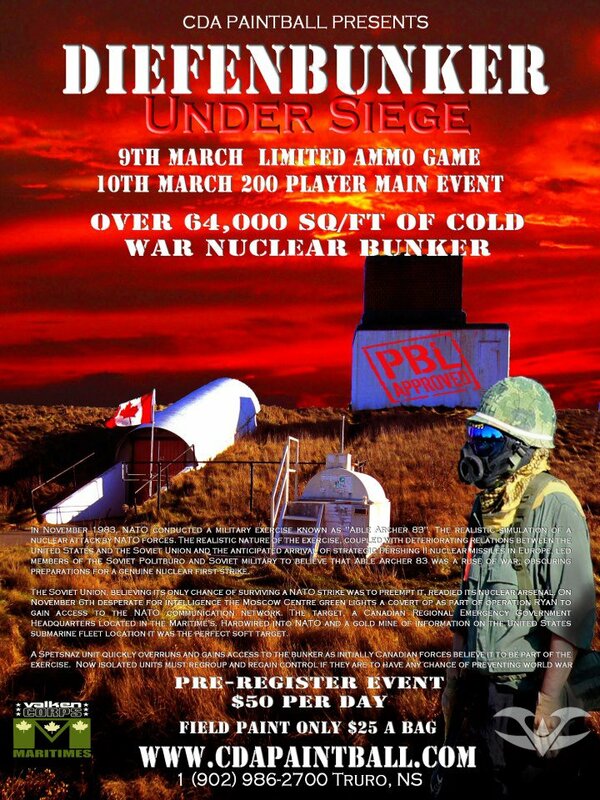 With limited ammo on the table for March 9th, this should be a must-attend event for anyone in the area. Full details here.